A notary is a qualified lawyer and is permitted along with other legal professionals such as barristers, solicitors, legal executives and licensed conveyancers, to hold and use the title of “lawyer”. The functions of a notary are so numerous and extensive and entail greater responsibility and skill than any short description on this website can convey. A primary function of the notary it is to certify documents and transactions in a manner that is accepted and respected overseas; and that is given credence and legal effect on an international basis in countries outside of the United Kingdom. 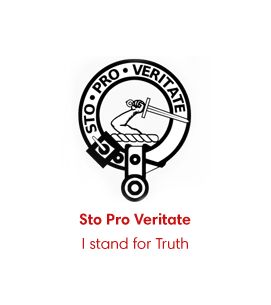 As the function of the notary is to provide, by notary public authentication, authenticity and reliability to a document or act or event, the notary public inevitably must make proper enquiry to satisfy himself of the truth and authenticity of the situation before him. It follows from this that the notary public must describe essential points in the notary public act e.g. the date of the act and the parties and also keep a proper record. 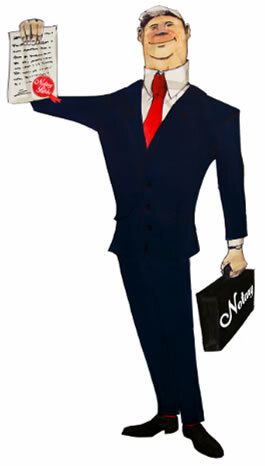 An essential part of the function of the public notary is to identify the party who appears before him. The obligation on the public notary to proper identify his client existed long before the advent of the obligations created by the Money Laundering Regulations 2007 and 2012 which now creates a similar obligation on other forms of legal professionals. The standard of identification is inevitably a high one and is now governed by the Proceeds of Crime Act 2002 (POCA), the Money Laundering Regulations 2003, 2007 and 2012 and the Terrorism Act 2000 as affect all notaries and lawyers in England and Wales. In practice the identity documents for limited companies can be obtained from a search result of the Companies House Registry of England and Wales. Notaries in England and Wales have to undergo many years of extensive training and qualifications in law before they are permitted to become Notaries Public. After qualification a notary must undergo a two-year period of supervision with an experienced notary public acting as a notary public supervisor. Once qualified as a condition of practice and to obtain an annual Practicing Certificate, they are required to professional indemnity insurance and also fidelity insurance and also undertake annual continuing professional education. Notaries that hold client account money are also required to submit an annual accountants report from a licensed auditor. 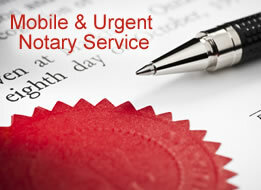 The notary public profession is rightly held in high esteem all over the world and is well represented by its members. In practice most notaries have previously qualified as solicitors although this is not always the case. For example in London, Scrivener notaries, who are a specialist form of notary, will normally enter their profession directly, without previously having qualified as a solicitor. Scrivener notaries are specialist linguists who have been examined to a high level in two languages other than English and who are also lawyers admitted in England and Wales, having been examined extensively over a period of years in matters of Civil Law. The history of notaries public goes as far back as ancient Rome and the time before Christ, where the scribae, or scribes, who were originally copiers and transcribers, eventually rose to the rank of a “learned professional” and took “a prominent role in public and private affairs”. The primary function of the scribes of ancient Rome, to whom academic historians trace the very early origins of the notary public profession, was to record public proceedings and register decrees. They also prepared deeds, wills and conveyances as a record of private transactions. Later on and around the first century BC, a new form of writer emerged in ancient Rome known as notarius, another likely early origin of the modern day notary public. For the notarius, the recording of transactions and events, lay at the heart of their work. This is also a feature of the modern day notary public who owes a primary duty to a transaction rather than acting for an individual client’s interests in competition with another party. The modern day notary public can otherwise be distinguished from other forms of lawyer, who act directly for and protect the interests of their client over and above the general interests of a particular transaction. An important development stage of the modern day notary public in England and Wales can be traced to sixteenth century. At this time, the assumption at the Reformation, by King Henry VIII, of authority to appoint notaries, which had previously been a power vested in the Papal legates in England, marked the moment at which the English notary public became apart from the Civil Law notaries. 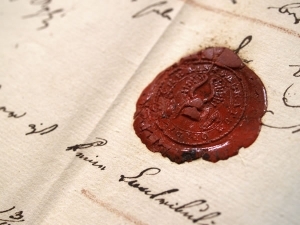 A particularly prominent law in the notary public profession was passed in sixteenth century, namely the Ecclesiastical Licenses Act 1533 This law transferred responsibility for the appointment of notaries, away from the King, to the Archbishop of Canterbury. Historians record, that the Ecclesiastical Licenses Act 1533, served to create the starting foundation for the modern day jurisdiction of the Faculty Office of the Archbishop of Canterbury for the notary public profession. Ever since the time of the Ecclesiastical Licenses Act 1533, right up to the current day, responsibility for the regulation notaries public in England and Wales vests in the Faculty Office of the Archbishop of Canterbury. 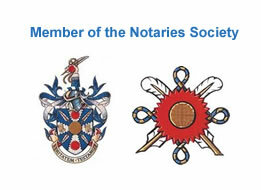 The Public Notaries Act 1801 and subsequent laws through to the most recent Legal Services Act 2007, provide the modern statutory basis for the authority and function of the notary public profession in England and Wales.